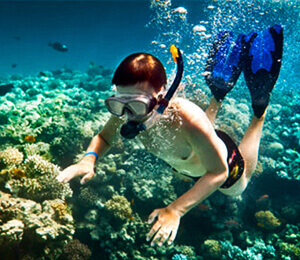 If you are looking for a fun party atmosphere with an amazing snorkeling adventure mixed in, these Cabo San Lucas Party Boat Snorkeling cruises would be the perfect tropical vacation getaway. Begin your day partying in some of Cabo's most scenic coastal locations and end it swimming through tropical coral reefs and various colorful fish along with numerous other marine animals. You can enjoy music, dancing, delicious Mexican food, and maybe even some alcohol. Party Boat Snorkeling is definitely the ultimate mix of activities for anyone looking for a young, energetic, fun atmosphere while enjoying the relaxing view of a tropical vacation paradise. 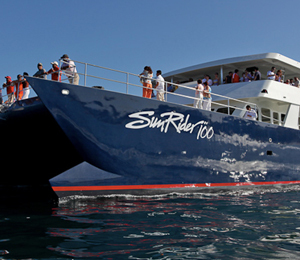 The Jungle Party Snorkeling Cruise is one of the most popular party boat snorkeling cruises in Cabo San Lucas. On this exciting trip, you'll snorkel at one of Cabo's best dive spots: the abundant reef gardens at Bahia Santa Maria and Pelican Rock. These excellent dive locales are home to a wide variety of exotic aquatic species. 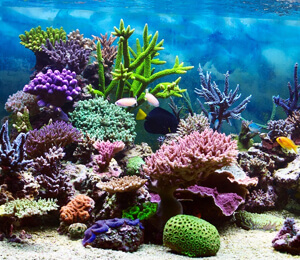 The placid crystal-clear waters in these locations offer excellent views of gorgeous undersea panoramas. Divers from all over the Earth travel to Los Cabos to enjoy the amazing diving in the coves and bays of the Sea of Cortez. 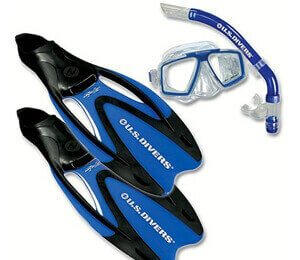 Our cordial bi-lingual staff will be happy to instruct first-time snorkelers. All of the required gear will be provided for you. Dive at the best spots in Cabo San Lucas: the abundant reef gardens at Bahia Santa Maria and Pelican Rock. Afterwards, party on deck with alcohol and an authentic mexican meal.